This global manufacturing organisation initially took delivery of SYNERGY products for their newly refurbished site on the out skirts of Manchester. 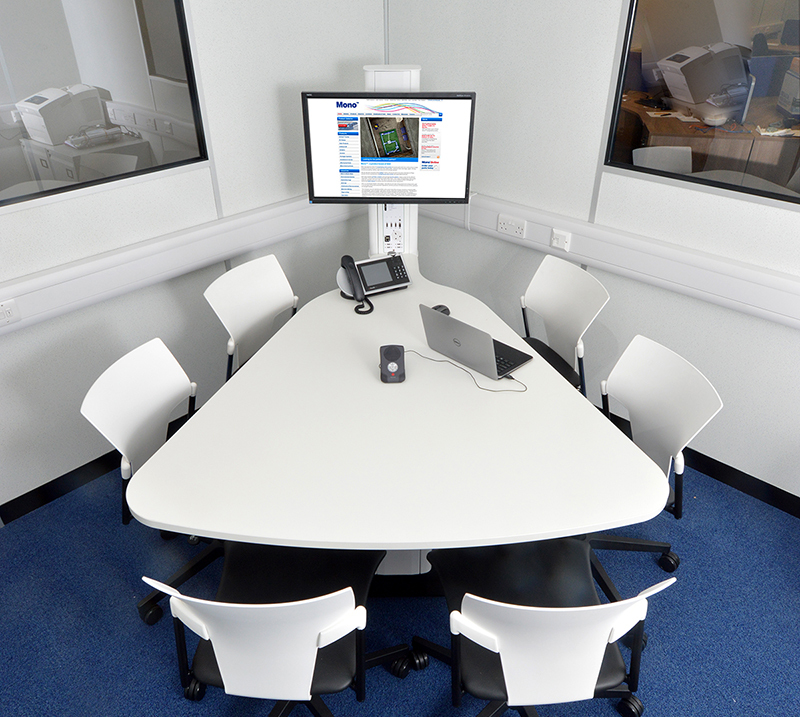 The collaborative meeting tables were used in a mix of small office spaces to large meeting rooms that embraced the changing ethos of the new operations. The new style of meetings broke down departmental barriers and became more collaborative promoting more positive outcomes. The reliability of these hubs has been critical to the evolving use of the SYNERGY tables. 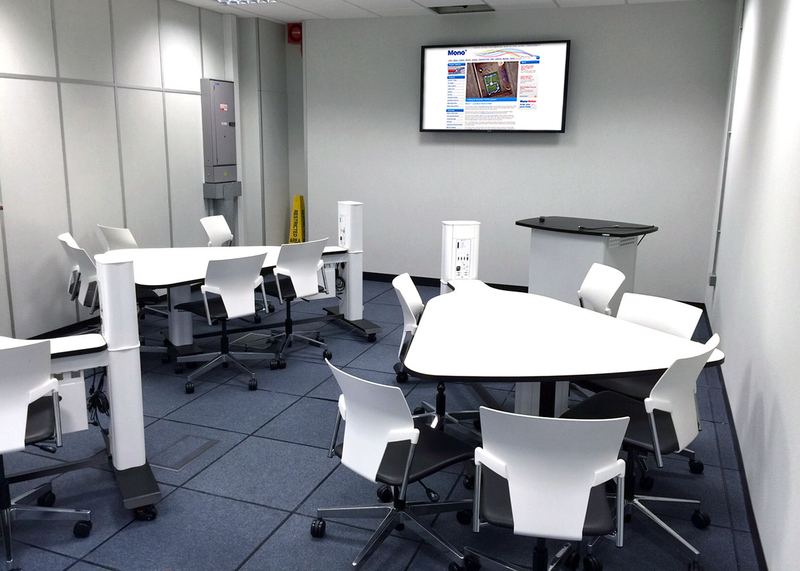 Since the original install the management team have developed a collaborative project room for active learning that includes 5 tables for group and training room work. Each table has a screen with switching capabilities across one or all of screens to display a topic or image for discussion. 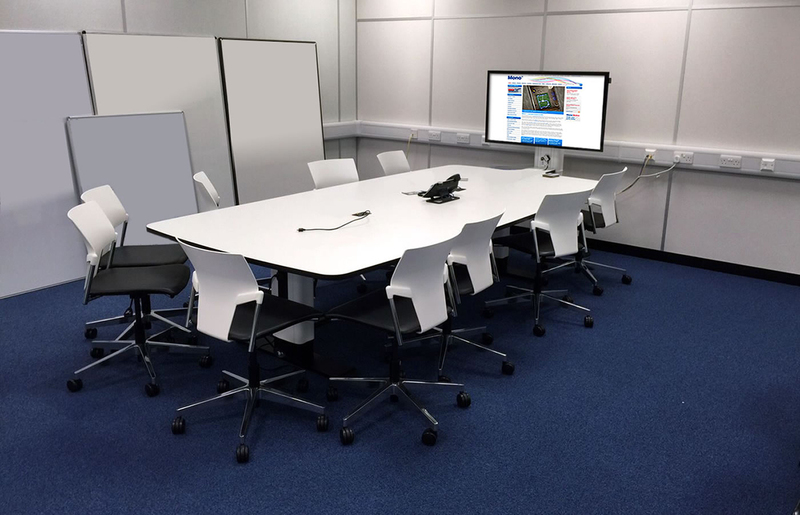 This interactive space has become core to the internal development of staff where planned and unplanned group meetings are convened to drive through key decisions or topics. 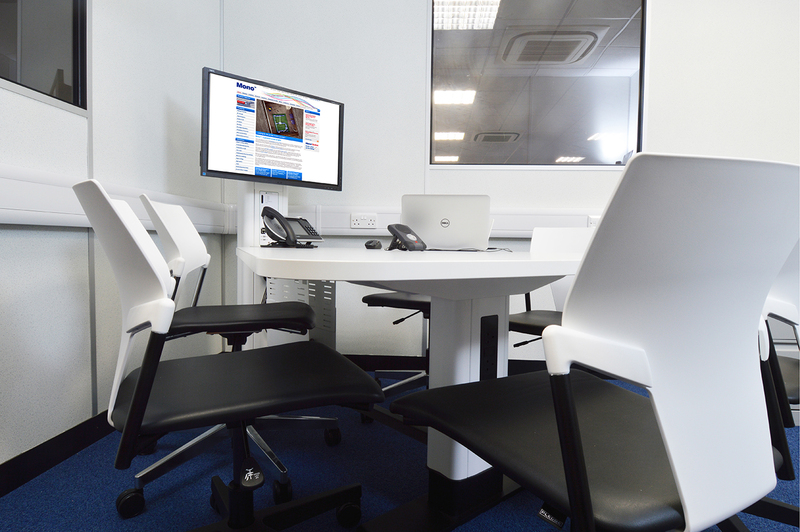 The SYNERGY collaborative table has become a key asset of the organisation whilst deploying a change in business and office culture.